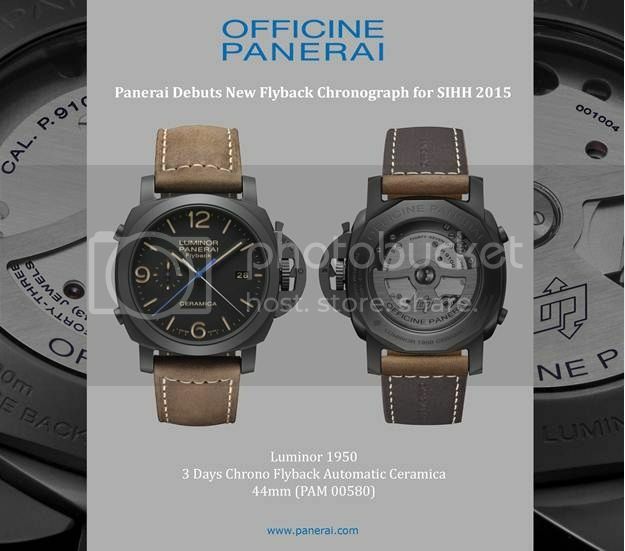 Officine Panerai is pleased introduce the new Luminor 1950 3 Days Chrono Flyback Automatic Ceramica 44MM (PAM 580), debuting in advance of SIHH 2015. 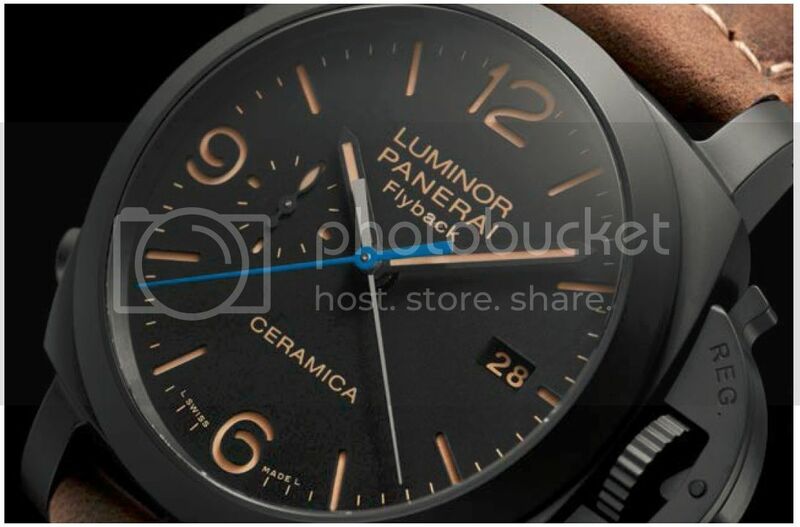 The PAM 580 masterfully integrates the sophistication of Officine Panerai's in-house P.9100 movement with the remarkable technical quality and design of the timepiece's black ceramic case. 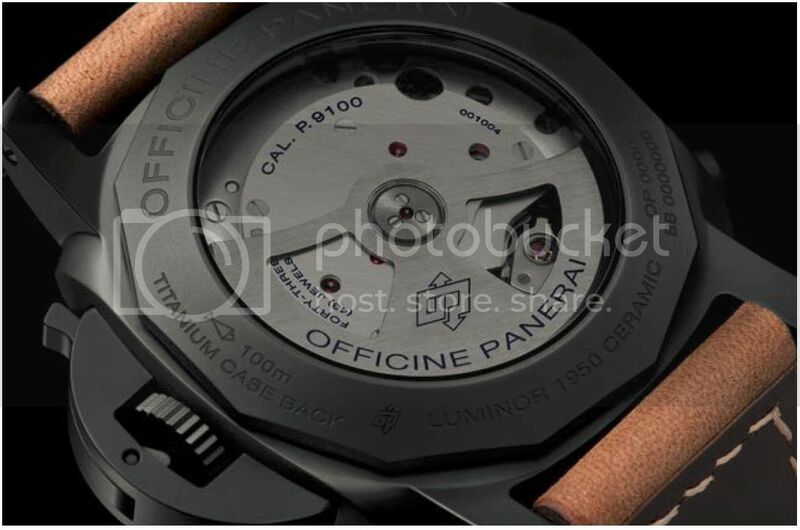 The P.9100 chronograph movement features Officine Panerai's uniquely simple flyback function, which allows the user to simultaneously zero-out and restart the chronograph hands. 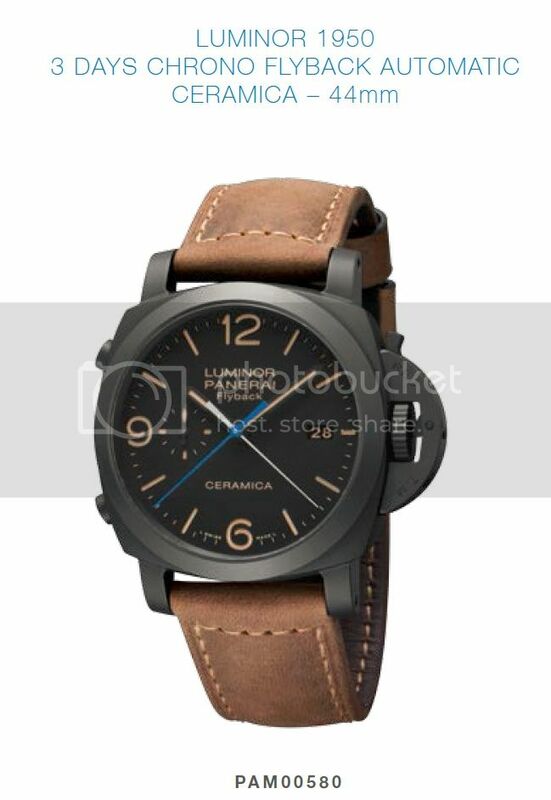 The flyback and start/stop buttons are located at 8 o'clock and 10 o'clock respectively, leaving room for the Panerai's trademark device protecting the crown and allowing the case to remain water resistant for depths of up to 100 meters. The synthetic ceramic is comprised primarily of zirconium oxide, which is up to five times harder than steel but substantially lighter. The material is created by a long, delicate process that transforms the zirconium powder into the scratch and corrosion-resistant ceramic using temperatures up to 1500°C.